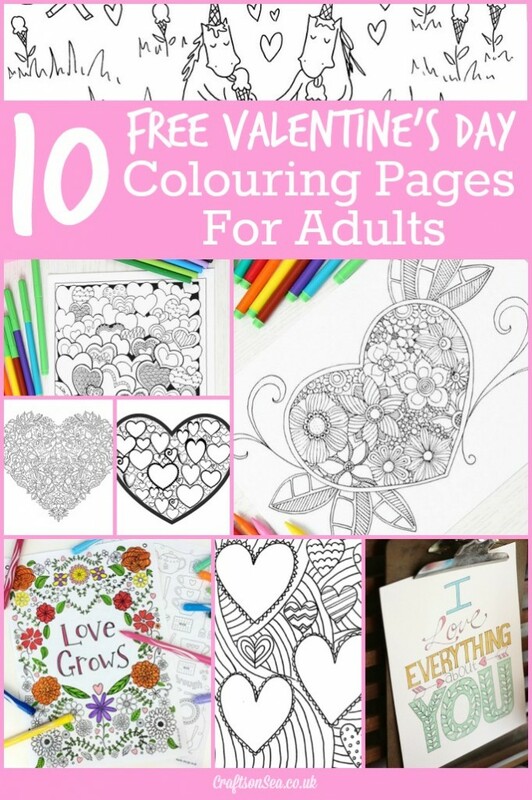 Colouring Pages for Adults are always super popular with the readers of this blog so today I’ve been trawling the internet to find you the most gorgeous free Valentines Day colouring pages for adults. I love the idea of Valentine’s Day but like a lot of people I’m a bit more meh about the over commercialisation of it, but free stuff? Well that’s got to be good! There are 10 gorgeous colouring pages for you to enjoy today with everything from hearts and roses to some Valentine’s Day themed unicorns. Unicorns? Yes. Always. And look, they’re in love and eating ice cream and everything in this gorgeous free colouring page over at Cakespy! Johanna Basford who drew the Enchanted Forest colouring book has a free Valentines Day colouring page for you here. This sweet Valentines Day colouring page from Hello Wonderful is perfect for adults and kids. Buzzle has loads of free flower colouring pages including this sweet one of roses in a heart. I’ve also got another post with 10 totally different free Valentines Day colouring pages on it so if you haven’t checked that out already make sure you do now!